When we decided to have our garden completely replanted, together with some hard landscaping one recommendation in particular stood out, and that was Carol. We had a meeting to discuss our requirements, and talked about the look and feel that we wished to create. Carol was really helpful in suggesting planting schemes that would complement the house as well as the plot, and she drew up some detailed drawings of how we would achieve all this. She also designed a new terrace for us at the back of the house to compliment the shape of the planting, together with a lighting scheme that would reflect the natural beauty of the garden. Carol did most of the planting herself and it was absolutely stunning, even in its first year. As part of the new garden, we erected a beautiful thatched summerhouse, and Carol managed to incorporate this into the garden, to look like it had always been there. Sitting inside on a summer’s evening, you feel like you are actually in the garden, surrounded by the beautiful flowers, trees and grasses. 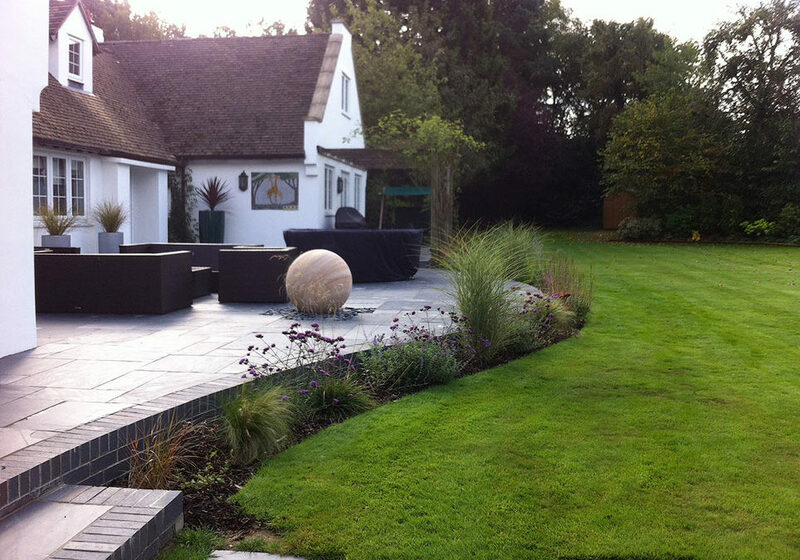 I wouldn’t hesitate to recommend Carol to anyone who is thinking of having their garden designed or landscaped. Her work has made such a difference to the enjoyment of our home, and completely transformed an overgrown plot into something we are really proud of.